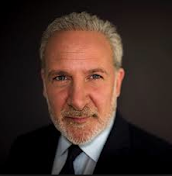 Peter Schiff On The Markets: Are Rising Rates Bullish For The US Dollar? I know people say that rising interest rates are good for the US Dollar. That's rising short-term interest rates which in theory are good for the dollar not rising long-term interest rates.